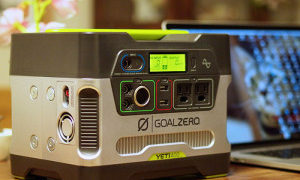 A comparison of two powerful solar generators: Goal Zero Yeti 1250 and Ascent Y1200. The growing solar market offers a broad choice for everyone. Sometimes it’s difficult to make a decision because many products are very similar and you can’t tell which one is the better option. 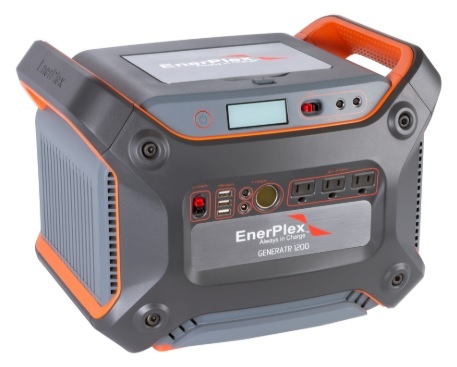 In this article we will closely compare the two powerful solar generator that are always trending: the Goal Zero Yeti 1250 and the Ascent Y120 (formerly known by its maiden name: EnerPlex Generator 1200). Goal Zero is an already famous brand in the solar world. 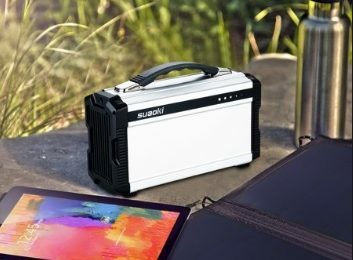 It was founded in 2009 and the company offers solar energy for powering almost anything and anywhere. They produce solar panels, generators, rechargeable batteries and variety of accessories. Their equipment is portable and used worldwide. Ascent was formed after two decades of research and development in 2005. It is the leading manufacturer of high performance, innovative and flexible thin film solar panels. The company designs and produces solar technology and power solutions for extreme and remote locations. With their units (which are praised to be very lightweight) you will have a clean power solution anywhere. The Yeti 1250 has the dimensions of 16.14 x 11.96 x 11.41 inches. It has its typical green, gray and white colors and is equipped with a durable carrying handle. The unit has a lead acid battery inside which makes it weigh over 100 pounds. The Ascent Y1200 has similar dimensions of 16 x 14.5 x 11.5 inches. The unit is mostly grey with different shades of orange and it also has a strong carrying handle like its rival. However, when it comes to weight, the Ascent Y1200 is significantly lighter than the Yeti, with only 40 pounds. This is due to the fact that it has a Lithium ion battery which makes it 60% lighter than any competitor. The Yeti 1250 as the name says has the overall capacity of 1250Wh followed by a powerful lead acid battery and inverter. 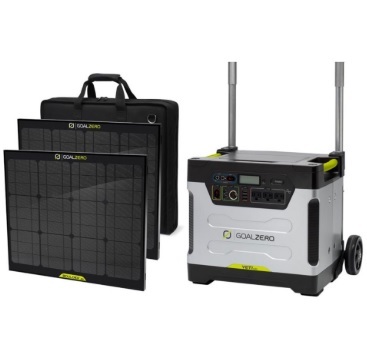 As far as the wattage output goes, this solar generator can deliver 1200W continuous and 1500W of surge power. The Ascent Y1200 offers a Lithium ion battery with the capacity of 1231Wh. This battery type outperforms a lead acid battery in many aspects, the most important one being the weight and more charging cycles leading to longer lifespan. 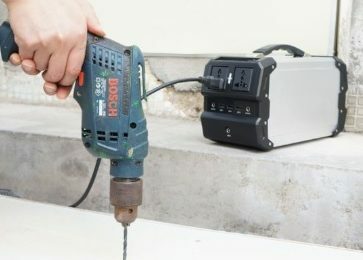 The Ascent produces 1000W continuous and 2000W of surge power. Both units offer the typical three ways of charging: using a AC adapter, a car adapter and of course Solar panels. 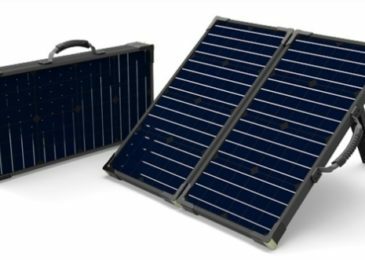 The both manufacturers offer their own solar panels: for the Yeti the recommended ones are any Nomad or Boulder solar panels, while for the Ascent the recommended one is its Commander solar charger. Charging time for both vary depending on the way of charging. This sounds like a funny category but still it has to mentioned. The Yeti 1250 is definitely the best seller here. It has a portable and handy design, an elegant look, good power capacity and can be used anywhere. Even though it is a bit heavy, it is very popular among users. Even tough that it isn’t very popular among users, the Ascent Y1200 is a worthy replacement for the Yeti and a lighter one too. However, it holds firmly its place as a strong competitor and can be listed as one of the best solar generators on the market. As you can see, these are two very powerful and high quality solar generators. They are very similar and with the only difference being in the weight where the Ascent Y1200 wins. However, in the popularity competition the Yeti 1250 proudly carries the crown. But the Ascent Y1200 is a younger unit which is yet to reach its faithful fans. To sum up, there is no mistake in any purchase.